The ultimate purpose of CBFCS is to facilitate Christian growth in our students who have already committed their life to Christ, and to lead those who lack this commitment to an understanding of the person and work of Jesus Christ. partner with parents in the education of their children. Teaching God’s view of the spiritual, social, and physical world He created and how amazingly ALL things fit together to be used for His purpose and glory. introduce students to a knowledge of who God is and to teach them Bible truths; to model and practice servanthood to God and each other so that, all things together, the Holy Spirit will be enabled to lead the student to a relationship with Jesus Christ. help students to grow and mature in their faith. encourage students to develop their God-given talents and gifts; and to use their abilities for God’s service. CBFCS is accredited with the Manitoba Department of Education and follows their curriculum. 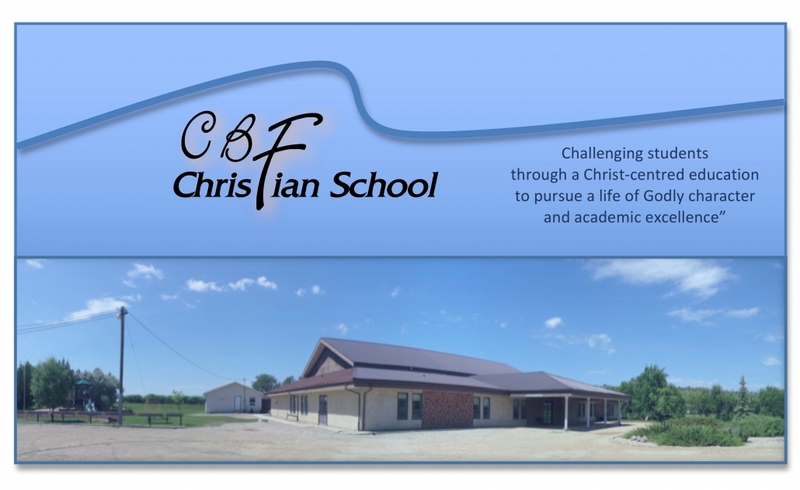 As a ministry of CBF Church, CBF Christian School exists to exalt God by speaking the truths of Scripture into the lives of the students and possibly their family’s, who attend CBFCS. We are edifying by mentoring and praying for our staff and students and families. We encourage by helping to develop our students to their fullest potential and patiently assisting them in the areas of weakness. We equip by scripture training, memorization, and active service opportunities for our students. We evangelize by welcoming families to enroll at CBFCS who do not presently know Jesus as their personal Savior.